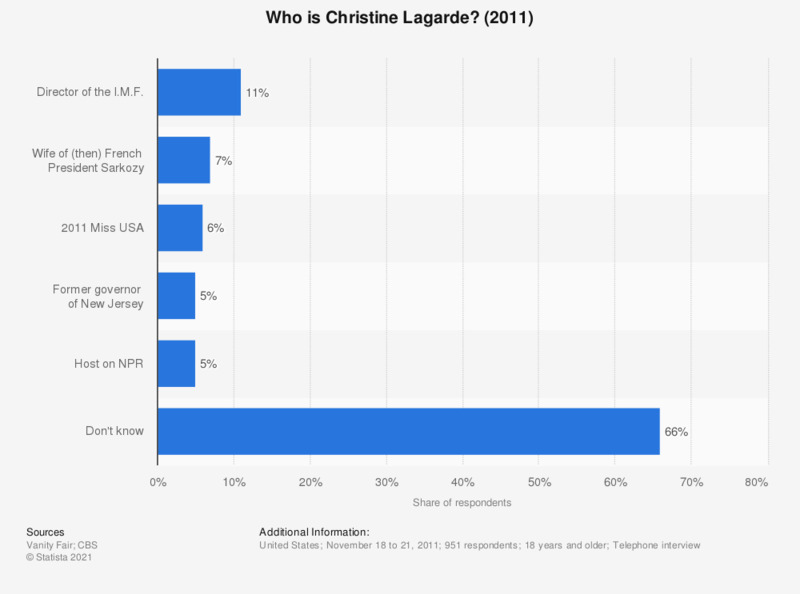 This statistic shows the results of a 2011 survey among American adults on who they think Christine Lagarde is. Some 11 percent of respondents knew that Christine Lagarde is the Director of the International Monetary Fund (I.M.F. ), while 6 percent thought she was the 2011 Miss USA. I.M.F. is the abbreviation for International Monetary Fund.